Looking at horse bits and deciding which is the right bit for your horse can be very confusing. Visiting your local tack shop and viewing the large array of horse bits available can make it seem a daunting task. The Snaffle Bit and the Curb Bit. 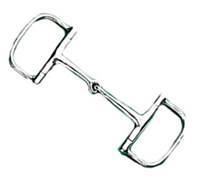 Most people assume that as the snaffle is a jointed bit and the curb is not, that the mouthpiece is what determines whether a particular bit is a snaffle or a curb. But, the difference between snaffles and curbs has nothing to do with the mouthpiece. The difference between the two types of bit is that the snaffle doesn’t use leverage and the curb bit does use leverage. So, what does each type of horse bit do? The bit acts with a nutcracker action (provided it is jointed) on the bars of the mouth (the area of gum between the front and back teeth), the corners of the mouth and the tongue. As the rider takes a contact on the rein, the horse feels an equal amount of contact on the bit in his mouth. On a curb bit the rein attaches to a shank or cheekpiece which adds leverage. 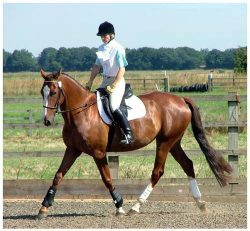 When the rider takes a contact on the rein, the horse feels a greater amount of contact, depending on the length of the shank. Following the basic physics of leverage, the longer the shank, the greater the leverage. 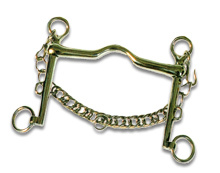 The curb bit works on the bars of the mouth, as well as under the chin (by way of the curb chain which is attached to the bit) and over the poll. Always consider all your horse bits and bridle options and make sure you choose the correct type, size and combination for the sort of work you want your horse to do. Prescribed intravaginal Dosage forms of methotrexate price list GyneLotrimin 3 Combination Pack is..